Located in the country of Hertfordshire, just to the north west of Greater London, Watford is a medium-sized town with a population just shy of 100,000 people. With a bustling centre of its own, yet lots of beautiful countryside to enjoy in its surrounds, you’ll find great variety in offer in the local property market. At My Home Move Conveyancing, we’ve been adapting our knowledge of markets like the one in Watford since 2001, bringing each of our clients a specialist, fixed-fee conveyancing service. To buy or sell a home in Watford, you’ll have to appoint property lawyers, who will complete all the complex legal parts of the process on your behalf. 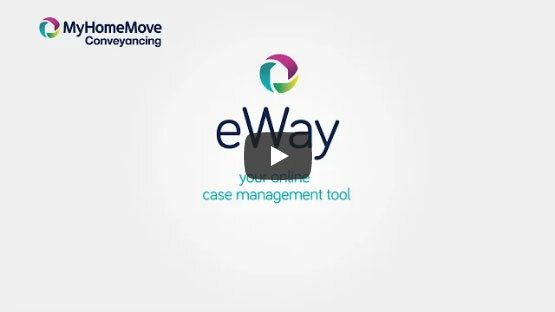 At My Home Move Conveyancing, we’ll assign you a dedicated conveyancer from the get-go, who’ll remain as your consistent point of contact for the duration. All the costs will be agreed upfront, so you’ll know exactly what to budget for and can be confident there’s no surprises waiting down the line. What’s more, if you end up not completing for any reason at all, you won’t need to pay a thing. Through our innovative use of technology, expert knowledge of the area and award winning customer service, we’ll get down to the job. As your Watford conveyancers, we’ll provide regular updates on your case, while you’ll also have 24-hour access to your online account and can check up on things there. At My Home Move Conveyancing, were delighted to provide our conveyancing services in Watford to customers looking at homes across the town, whether that’s close to the centre, in leaftyleafy suburbs like Cassiobury, or out north towards Leavesden. In the last 12 months, homes in Watford sold for an average of £415,151. Flats made up the largest share of properties sold, collecting £276,503 on average, compared with semi-detached homes at £473,291. These figures represent a 6% increase in value since 2016. Evidence suggests the land surrounding Watford has been occupied since Celtic and Roman periods, but the story of the town we see today starts much later. Sitting on the banks of the River Colne, the settlement built up around a bridge or crossing spot, with Watford’s high street still following the line of this route to date. Nearby Berkhamsted Castle, the Grand Junction Canal and the London and Birmingham Railway encouraged the town to grow, with paper mills springing up throughout the Industrial Revolution. Today, Watford is a modern and vibrant town, with an excellent selection of bars and restaurants at its centre, while it enjoys beautifully maintained countryside at its fringes. One of Watford’s biggest draws is its connections to the capital, meaning it’s a popular spot for commuters. The M1 and M25 circle and cross the northern end of town, while there are direct rail services into London every few minutes at peak times. The closest airport to Watford is Heathrow Airport, where you’ll find international flights to almost any destination imaginable. Parents will be delighted by education provisions in the area, with primary school options including Watford St John’s CofE and Lancaster Community Free School. Secondary options include the partially-selective Watford Grammar School for Boys and Watford Grammar School for Girls, while a campus of West Herts College provides higher education in the town. All properties in Watford will fall within one of the following council tax bands.